What will be the biggest marketing trends in 2018? 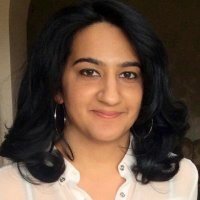 Ayesha Salim, Content Lead at @TheDrum shares her perspective. Transparency, data and digital transformation were big topics last year. As brands and agencies undertake their strategic planning, what will 2018 hold? Here are the top ten predictions for 2018. A big challenge for marketers is dealing with complex, siloed data assets. [Looking ahead], data analytics and artificial intelligence (AI) will equip marketing departments with the ability to achieve the holy grail of marketing performance optimization (MPO). The main problem with the programmatic auction, as it’s run today, is that it doesn’t allow advertisers to achieve the win rates they need to reach audiences at scale. This has always been a problem, but it’s been aggravated by header bidding which effectively creates a two-tiered auction system. Location marketing has not been immune to criticism. In fact, 80-90% of location data up until now has been wrong or imprecise, according to at least one leading executive in the ad industry. Following P&G’s Marc Pritchard’s demands to raise the media bar and consumers taking a stand against irksome ads; 2018 will force marketers to take action. 2018 will be the year that transparency will stop being just a word that we use and instead will become a set of actions which will transform the advertising industry into a much more open and consumer-centric market. This article was written by Ayesha Salim from The Drum and was legally licensed through the NewsCred publisher network. Please direct all licensing questions to legal@newscred.com.